Hurricane Sandy is finally here, and earned us a four-day weekend! As long as our power stays on, we’re not complaining (although we have it really lucky; some folks who are in the path of the storm more in NJ and NY are losing more than their electricity, which is so sad). What better time is it to bake than during a huge storm? 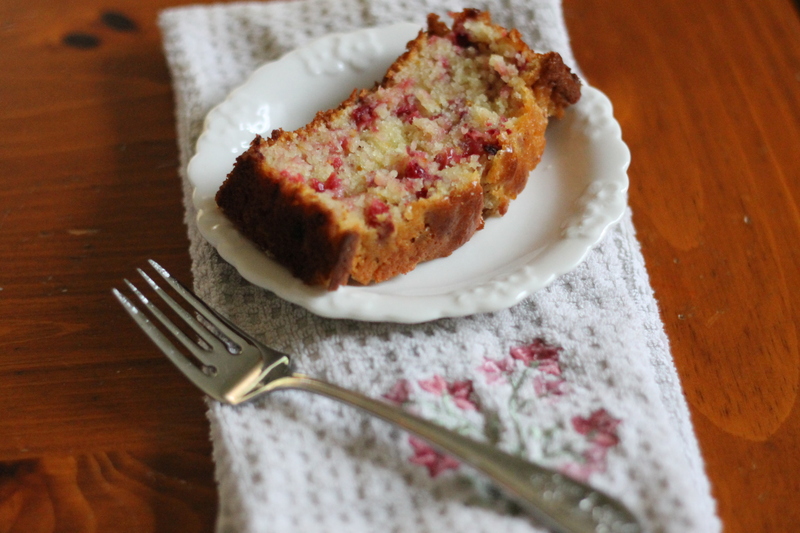 This cranberry bread is the perfect thing to make. It has a bright and sunny orange flavor, which might be the only sun able to be seen for the next few days! It’s got the perfect balance between tart and sweet, and it has great flavor. No one in our family had any complaints, and quite a large amount is gone already. Delicious! Adjust oven rack to middle position and heat oven to 350 degrees. Grease bottom of an 8 1/2 by 4 1/2- inch loaf pan. Stir together orange zest, orange juice, buttermilk, butter, and egg in a small bowl. Whisk together flour, sugar, salt, baking powder, and baking soda in a second large bowl. Stir liquid ingredients into dry ingredients with a rubber spatula until just moistened. Gently stir in cranberries and pecans (do not overmix). Scrape batter into loaf pan ad spread with a rubber spatula into corners of pan. Bake until golden brown and toothpick inserted in center of loaf comes out clean, 55-75 minutes. Let cool in pan for 10 minutes, then turn out onto wire rack and let cool at least 1 hour before serving. Enjoy!